I've got to know about this cup a month ago or so but I never posted about it to the community as I thought someone else have done it before, however I was wrong. The Angelcup has been around for more than 6 months and no one has mentioned it! It's a cup from Mexico, made in Mexico (not like the Mexican Lunacup which is made in the US) with medical grade silicone FDA approved. 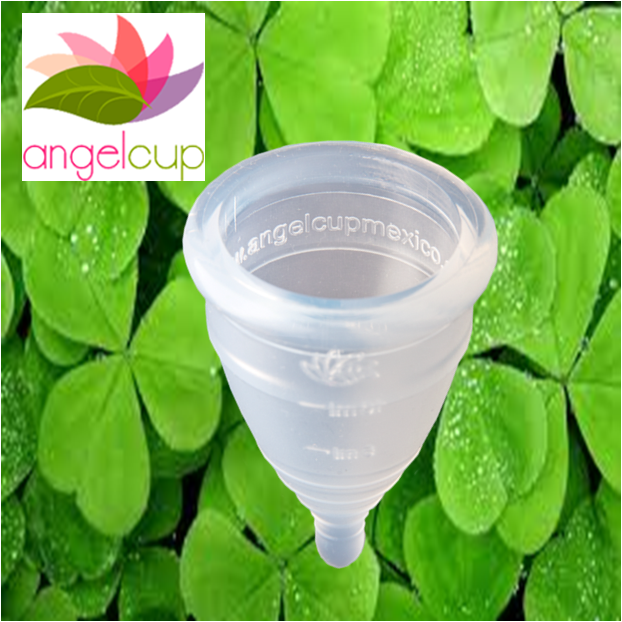 The cup has two different sizes chica/small (for women with moderate flow, who haven't had a vaginal birth or under 30) and grande/large (for women above 30, who have had a vaginal birth or with heavy flow). For the pictures I've seen the cup is somehow similar to a Naturcup, with a longer ball stem and with a really flexible clear silicone. Both sizes come with measuring lines (up to 10 ml on the small size but it holds 20 ml up to the holes, and up to 15 ml which holds 30 ml up to the holes), the logo of the company and their website on it. It comes whith a pouch of the company with the logo written on the outside and a pink ribbon to close it. 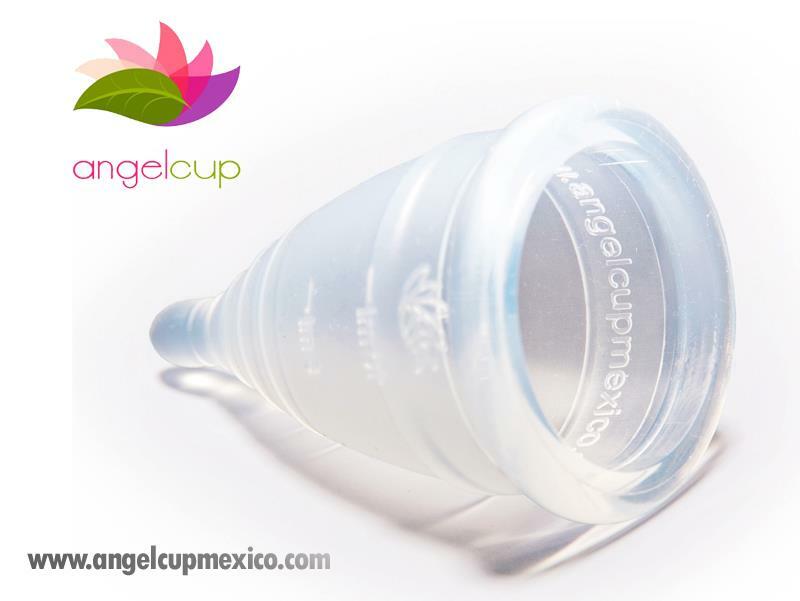 I've visited their website (www.angelcupmexico.com) and their facebook site (Copa Menstrual Angelcup) and they have a lot of information on their product but also on environmental issues, women's health, menstruation... I like the fact that they are really active trying to make people aware of the problems related with the use of disposables. Even though this cup seems to have been there for months I couldn't find any opinions on the net besides this one (two post, arrival of the cup first and review after use later): http://vanir-lagom.blogspot.com.es/2013/02/angelcup-i.html and http://vanir-lagom.blogspot.mx/2013/03/angelcup-ii.html. Both are in Spanish but Google Translator can do it. Oh my gosh, another one?? Haha, I just posted about the new Farmacup brand yesterday! Their website expired but they are on it. My thought is, I think it looks like a Divacup. Their website is pretty lively, they are definitely spreading the word in the spanish world, it's heart-warming. Apparently it costs 500 mexican monies (pesos?) which is 40 USD, with a temporary free shipping offer, I guess within Mexico. I'd like to know if it's available internationally. Oh I'm sorry, I really shouldn't post so fast, I meant their FB PAGE ! oops. Yeah, their website has expired last week, they are working on it. I had the chance to check it before and it looked straightforward with information on the cup itself, how to take care of it, benefits, etc. I agree with juliiie87 that their FB page is pretty active, but it's more about spreading the word than talking about their cup. Hopefully their website will be available soon and you could have a look at it. they are shipping internationally yet but I heard that was their mission too. If you get to buy one, you´ll see what I mean. Its a really good option in the Mexican mrkt!